Remember when these two men were teammates? Their union on the Astana team was only 3 years ago! So much has changed since then. The battle raged between these two men then and has since evolved into individual battles against agencies, testimony, codes, rules, truth and time. We have all heard the news by now - Lance got off, Alberto got banned. Or as I read in a text from a friend, "Lance wins again!" Well, I personally don't believe there are any winners in either of these cases. Only outcomes. Justified or not, these outcomes have now become fact. Alberto Contador has been given a 2-year ban for doping by the Court of Arbitration for Sport, backdated to January 25, 2011 (with some credit for his previous suspension period), his punishment will end August 5, 2012. After he returns, any points he earns in races over the next two years will not count for his team. Alberto Contador has been stripped of his 2010 Tour de France victory, he has also been stripped of his 2011 Giro' d' Italia win and any other victories after February 2011. Alberto Contador has paid for his legal expenses, and may have to pay for the legal expenses of the UCI which is seeking a €2,485,000 fine from Contador. The Press released the news of Alberto Contador's positive blood test results on September 29, 2010. 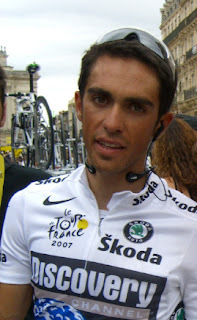 The next day Contador claimed his positive test for 50 picograms of clenbuterol during the Tour de France on July 21, 2010 in Pau, was due to ingesting contaminated beef. He was immediately suspended by the UCI. But Contador was then cleared in full by the RFEC (Royal Spanish Cycling Federation) on February 16, 2011 and returned to racing. The UCI and WADA (World Anti Doping Agency) disagreed with the RFEC decision and continued their own investigation finally concluding today, after 565 days of suspense, in a guilty verdict. 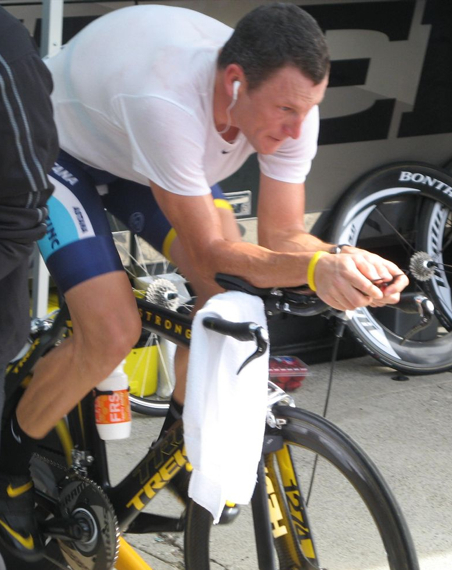 The U.S. Federal Investigation against Lance Armstrong has been dropped. The USADA (Drug Administration) may proceed in further drug-use (or misuse) investigation on Armstrong. Lance Armstrong has incurred tremendous legal expenses since before his case began in May 2010, so too have many of his former US Postal teammates, who may not be out of the woods quite yet. The news is shocking, but I think we will look back over time and realize it was the only outcome possible. There are people who need to believe in Lance Armstrong, whatever his service to Livestrong.org (or Livestrong.com lucrative service to him), Armstrong is a part of the modern history and development of this sport. Perhaps not an admirable example of how it should have been done, but how it was done - 7 times. I am one who believes that doping was prominent in the sport, rules were broken, cheaters won, but did Armstrong commit a crime in the United States? Apparently that was either too long or too expensive or simply not worth proving. Still I believe it has tainted his legacy. I recently was grateful for an interview with Peter Thomson of Thomson Bike Tours. Peter operates cycling tours as an official tour operator for A.S.O. races and has seen a lot of races in person on the roads of Europe, and raced with Bernard Hinault on the La Vie Clair team back in the day. When I asked Peter the question, "Which rider appears to you to have the most natural talent on a bicycle?" Without hesitation he answered, "In modern times, there is only one guy and that is Contador, he was born to ride a bike. I know he is not popular in the States ... but he is a phenomenal rider, he looks great on a bike, he is an attacking rider, he goes for it. He doesn't sit back and play tactics ... at the Tour de France he was not on top form at all, he was really suffering this year but he was still attacking, he was going for it. I love riders that race, that make a spectacle of it." "And the one looking back, has got to be Bernard Hinault, he was absolutely phenomenal, Bernard would race from day one to the Champs Elysees. He would climb, he would time trial, he just wanted to win, win everything ... if Bernard Hinault was in the race you were going to see a good race." I am a fan who wants to see Alberto Contador racing. I am saddened by Alberto's experiences over the past 2-3 years. But the fact remains that his lab results tested positive and the WADA code demands a strict 2-year ban. Contador now joins the ranks of those officially found guilty of doping, whether he is guilty or not, this is the path he will walk as a man into his future. He will miss the Giro d'Italia and the Tour de France in 2012, he will never again be eligible to compete in the Olympic arena. I am certain innocent men have been banned before, I am certain guilty men have walked away free. WADA had no choice but to stand by their code. We are talking about the principles of competition here, the rules of engagement, and unfortunately the sport of cycling to date has not proved it's ability to do without standards, as unjust as they are sometimes applied. This is one code that needed to be enforced however sad this case truly is. Oh how I wish this were true in sport. Perhaps this day marks the point were we walk away from a shameful expensive and inconsistent past, accept the punishment today, and know that the message into the future stands that doping in cycling is not acceptable. Read Red Kite Prayer's report of the news today Contador suspended, stripped of Tour and Giro titles. RKP also mentions that Alberto Contador and Saxo Bank general manager, Bjarne Riis, will hold a Tuesday press conference. Update 02/07/12: Alberto's Press Conference and statement - Alberto Contador Press Conference: Spaniard considers appeal, vows to return By VeloNation.